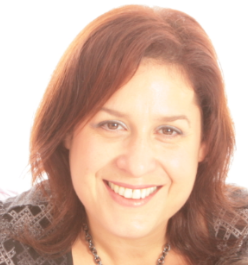 I’m Michelle Haringman, a counsellor supporting clients with a variety of issues including: relationship problems, trauma, bereavement, anxiety, depression, work stress, personal and family stress, ill health and with survivors of serious crime. I work with individuals and couples, helping you to feel empowered to transform your life. I am a member of the BACP, the British Association of Counselling and Psychotherapy, and as a member on the Accredited Register, I am bound by the its ethical framework. Details of which can be found here. Private practice, from: Finchley, London, N12, clients’ homes within a 30-minute drive. Workplace counselling, including: Staff Counsellor, providing counselling onsite in organisations for their employees; Critical Incident responder providing PFA (Psychology First Aid) onsite in organisations. Charities, including: Victim Support (supporting victims and witnesses of crime), Relate (couple relationship counselling), Raphael (general counselling service), and JBCS (bereavement counselling service). My theoretical approach is working with clients from a humanistic person-centred perspective. However, I believe that everyone is unique and I draw on a variety of theories and approaches, based on my broad experience, to suit the specific needs of each client. These include: psychodynamic, systemic, existential, solution-focused therapy and psychological first aid (used within the first four weeks after a traumatic event). I work collaboratively with you, creating a safe place where we are able to explore difficult areas of your life together. Diploma in Humanistic Counselling (with CSCT, The Central School of Counselling Training). Diploma in Couple Relationship Counselling (with the Relate Institute). It is very important that you find the most appropriate therapist for you. This could be based on the type of counselling the therapist offers, but more likely will come down to whether you feel the counsellor is someone that you can trust and open up with. It would be unethical for me to work with someone that I don’t feel is appropriate to my skills, and in those instances I will make a referral to another counsellor. If you are interested in arranging an initial assessment, please contact me to arrange a suitable time.